Now that the tree and decorations are back in the attic, champagne and chocolate for breakfast is frowned upon, and the detox is well and truly on the go, like many of you I have been suffering from a bad case of theJanuary blues! But fear not, for there is light at the end of the tunnel, after all the RBS 6 Nations is just around the corner, something to look forward to during the dark times of January! This time every year, whether rugby fans or not, we all become patriotic and cheer on our home nation in the battle for the 6 Nations cup. But as if that wasn’t enough, the Welsh Assembly Government has given Welsh Citizens another reason to feel proud and optimistic for the future in the form of the Planning (Wales) Act. 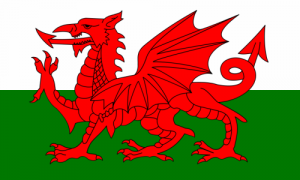 The Planning (Wales) Act gained Royal Assent on the 6th July 2015. The Act will, once adopted, change the face of planning in Wales, providing a modernised framework for the delivery of planning services. The Act is a by-product of the March 2011 Referendum which voted in favour of more legislative powers being transferred to the Welsh Assembly Government in Cardiff. The approach taken for The Planning (Wales) Act is much different to that of the National Planning Policy Framework (NPPF) in England. Unlike the NPPF which focuses on localism, giving more power to Local Authorities and communities, rather than through regional and national policy, The Planning (Wales) Act’s focus is much more on a centralised government, with Cardiff taking a more hands on role for planning in Wales, and in doing so reducing the power afforded to Local Authorities. As you can imagine, the Act is vast, but sections of particular significance are detailed below. A National Development Framework (NDF) is to be produced, this will replace the Wales Spatial Plan. The NDF will set out the Welsh Government’s land use priorities and will focus on development and land use issues of national significance. Sub Regional Strategic Development Plans will be prepared by panels covering issues such as housing demand, strategic employment sites and transport infrastructure, details as to the specifics are yet to be finalised. The act also introduces a category of Developments of National Significance. This covers applications for energy projects, airports, rail links, rail freight interchanges, dams and reservoirs, major pipelines, power plants etc. Such applications will be submitted direct to Welsh Government who will determine them. The Act also enables the Welsh Government to label a planning authority as poorly performing, allowing applications for major development, for example large housing developments, to go straight to the Welsh Government to be decided rather than to the Local Planning Authority. This seeks to address the significant variance in the performance of Local Authorities across Wales. The Act makes the pre-application process for developments of national significance and other major developments compulsory. As you can see lots of changes happening to the planning process in Wales, evidently interesting times lie ahead!